I love when new meets old, or old meets new. My sweet and healthy niece was born into the world on February 20, 2013 and has been just the best addition to our family ever since. 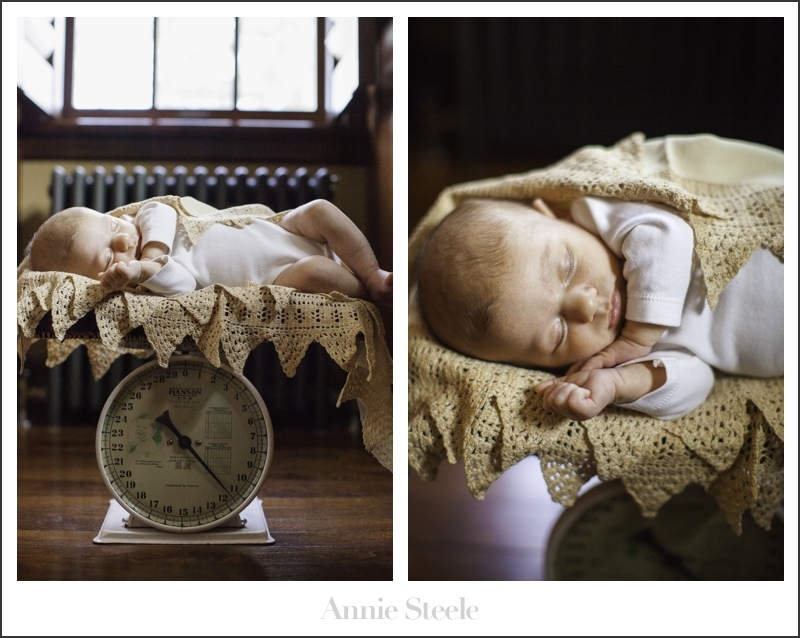 This past Sunday, I went home for Easter Sunday and was able to take some pictures of tiny Violet Claire as she napped. 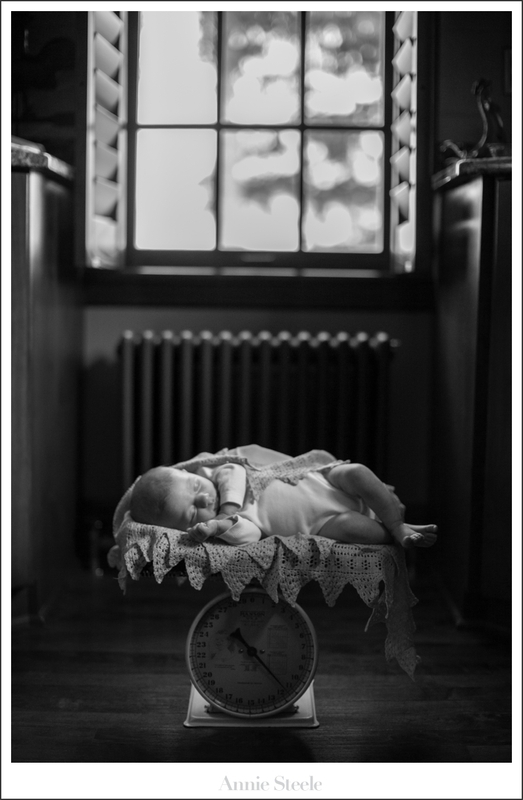 I will be the first to mention, I am not a self proclaimed infant/baby photographer, but I can see why so many photographers are just in love with capturing the first few moments of life. My brother and Violet’s mom, Erin, brought along an antique baby blanket that had been in the family for almost 70 years. My parents own a few antique pieces and we were able to pair the heirloom blanket with an antique baby scale from the 1950’s. 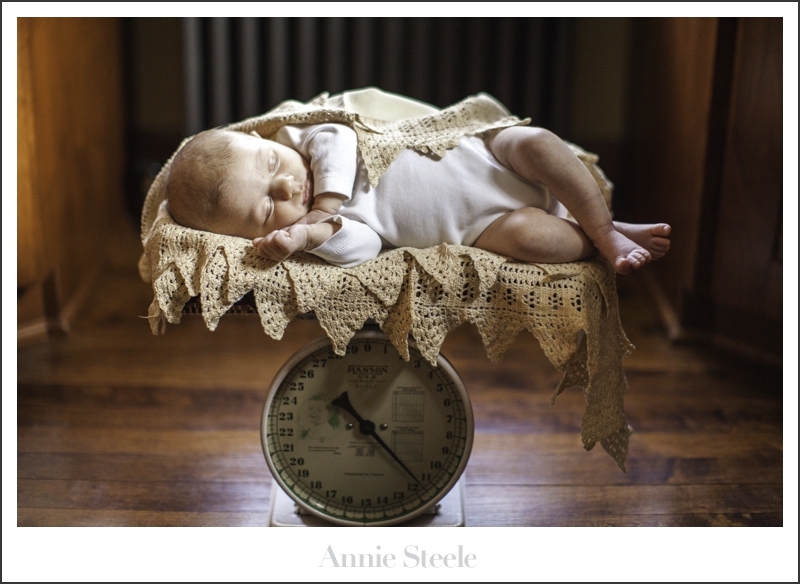 As we made sure to make a safe spot on the scale for little Violet, she peacefully smiled as she dreamt away.